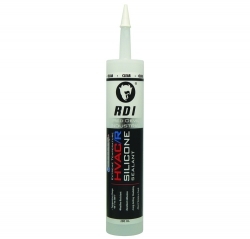 Red Devil Extreme Temperature HVAC/R Silicone Sealant is a superior quality sealant made especially for HVAC/R applications. It provides long-lasting weather-resistant seals and offers excellent adhesion, flexibility and durability. It adheres to metal and other building materials and remains flexible from -60°F to 400°F.